This is a book that I found hard to rate and review. There was nothing wrong with it as such, but it really didn't inspire me in anyway. 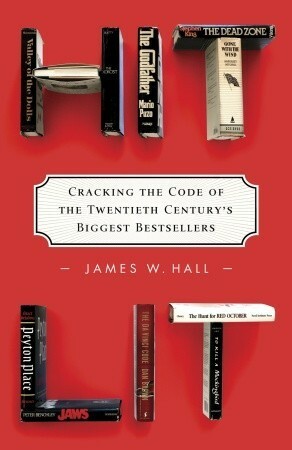 In this non-fiction work, James W. Hall examines twelve bestselling novels, looking at the themes that run through each to determine what makes them so popular. He considers a range of ideas such a country vs. city and ideas of the family unit and there is nothing wrong with any of his arguments - it's just that they are all pretty obvious to any avid reader and so I didn't feel I learnt anything new. The other issue I had was the fact there were three or four of the books he referred to that I had not read. While I could still follow the thrust of his arguments, I was not able to appreciate his references to those books. In the appendices, I later found summaries of the plot of each book. It would have been handy if I'd been able to read those first, but since I read in e-book format that was not possible. Naturally, anyone reading in print would not have this problem. In conclusion, this is a book that would appeal and be of use to those just beginning literature studies or those with a simple interest in the subject. For those more advanced literature students, there is probably not a lot here that you will not have come across before; although, Hall's ideas are well expounded and the book might be worth referencing. Sadly, I was just not able to engage with the book or feel any enthusiasm.